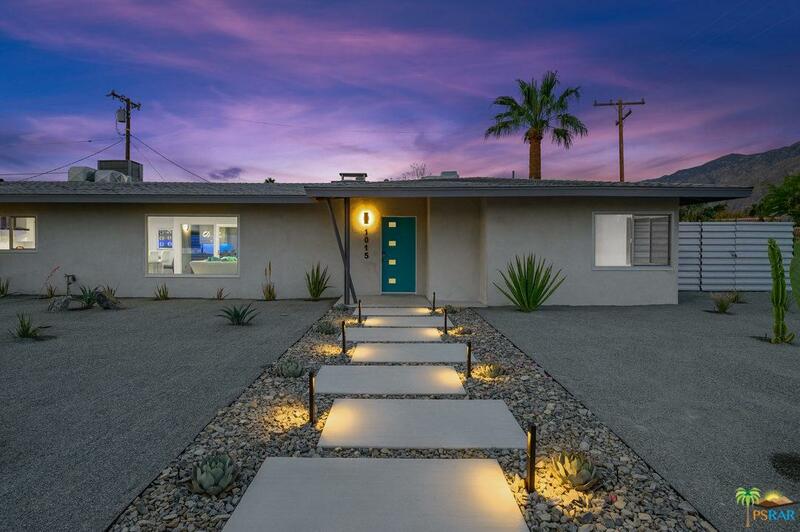 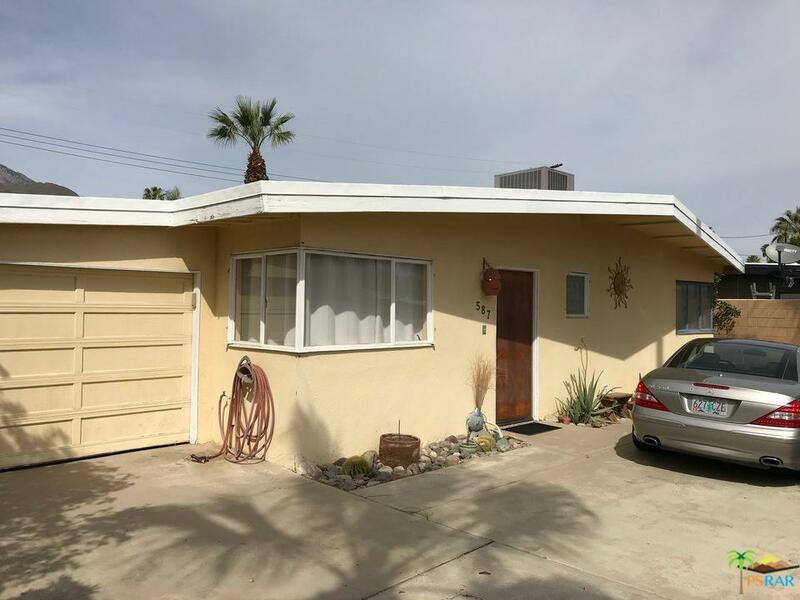 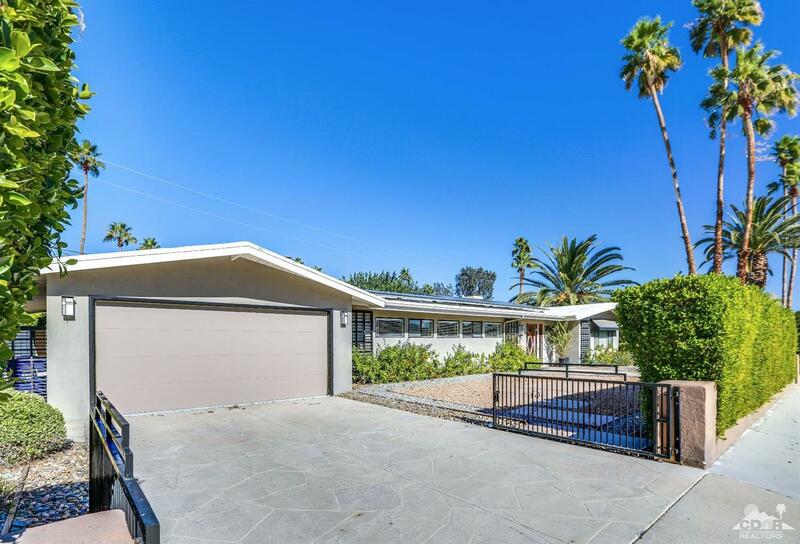 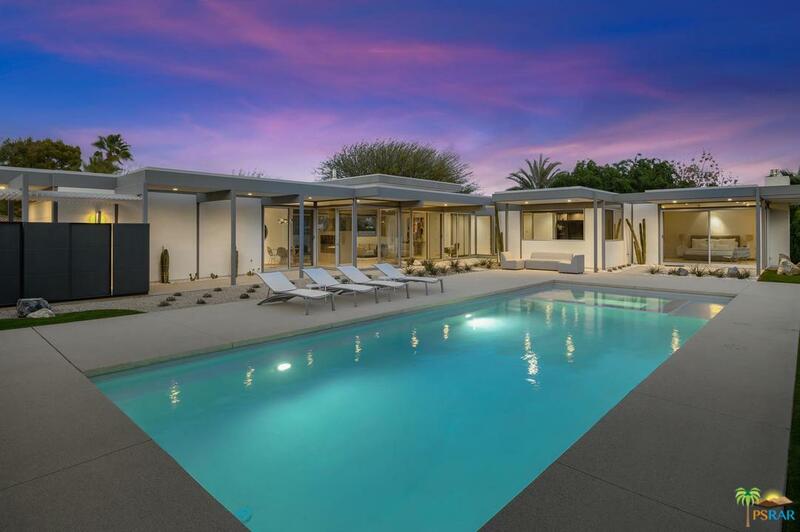 PROFITABLE VACATION RENTAL.This Meiselman built home was first in this tract, & one of a handful of smaller homes he built in the early 50's, & it's been updated to reflect these modern times. 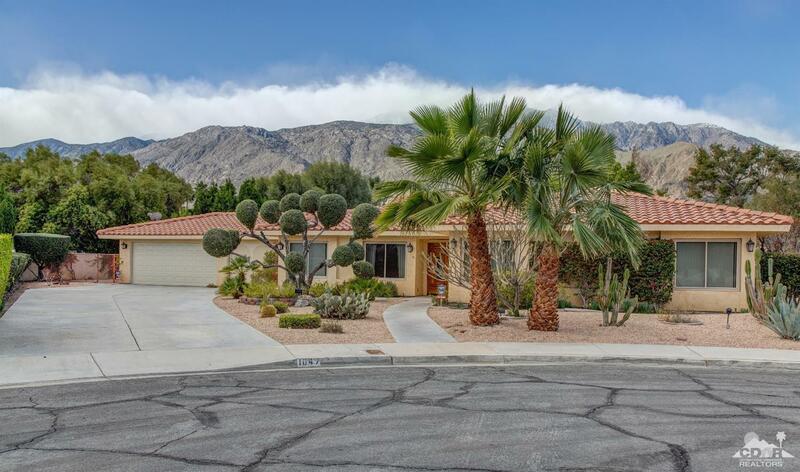 Tile flooring runs throughout the home,the living/dining area filled with light and stunning mountain views from the large front window. 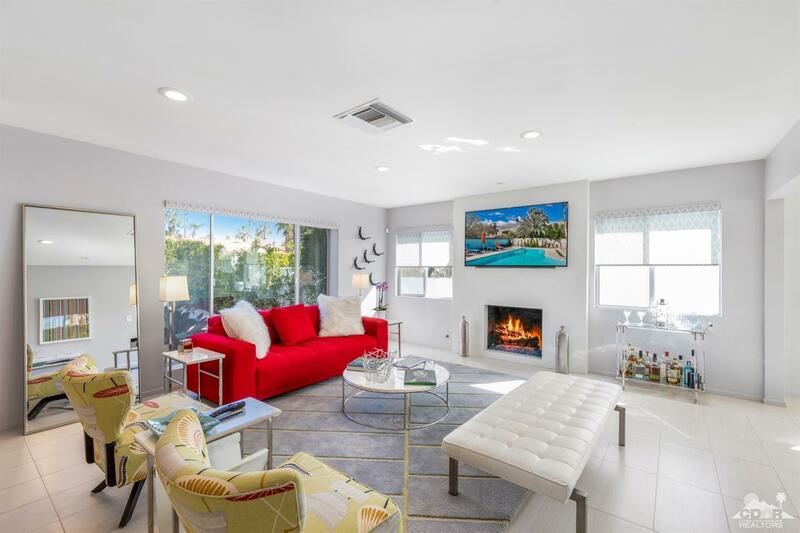 The kitchen has quartz counters, new cabinetry, stainless appliances including built-in microwave, 5 burner gas stove, & glass door out to the yard. 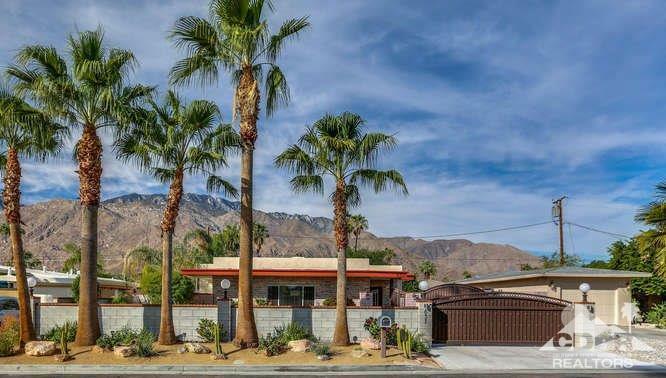 A Nest thermostat can be programmed remotely. 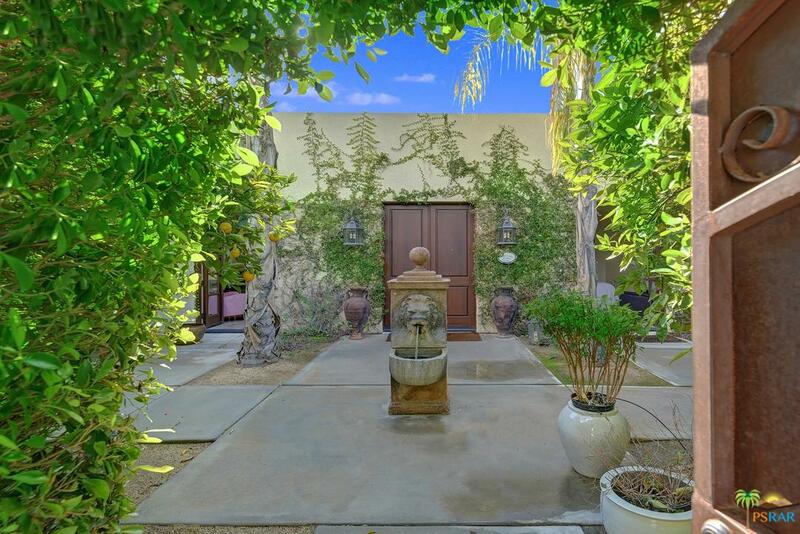 Both bedrooms are good sized, w/a glass slider in the back BD leading out to the very private fenced yard w/long rectangular pebble tec pool & waterfall, spa w/fire feature, & separate seating/conversation area in one corner. 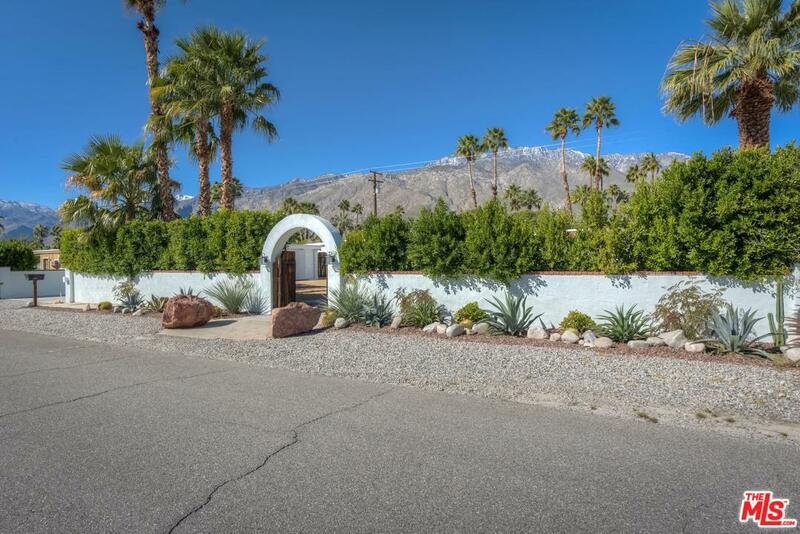 A circular driveway is gated at both ends for privacy and security, w/a huge carport area that can easily accommodate a 2 car garage. 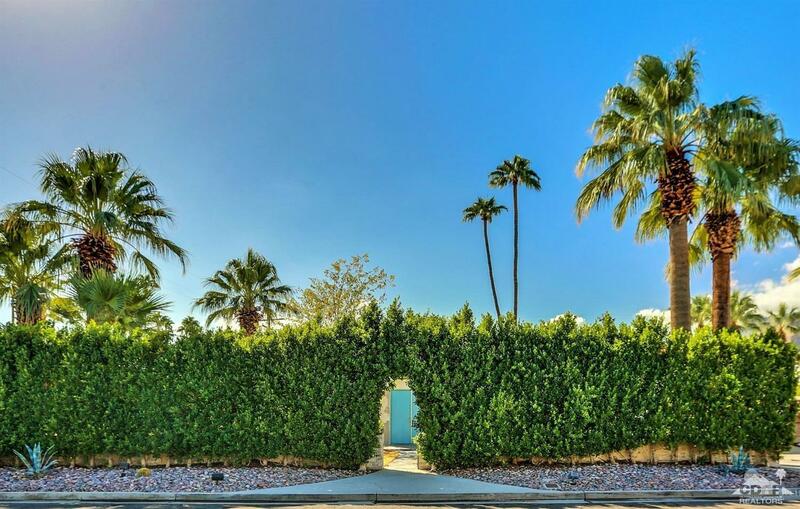 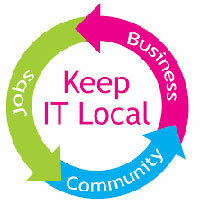 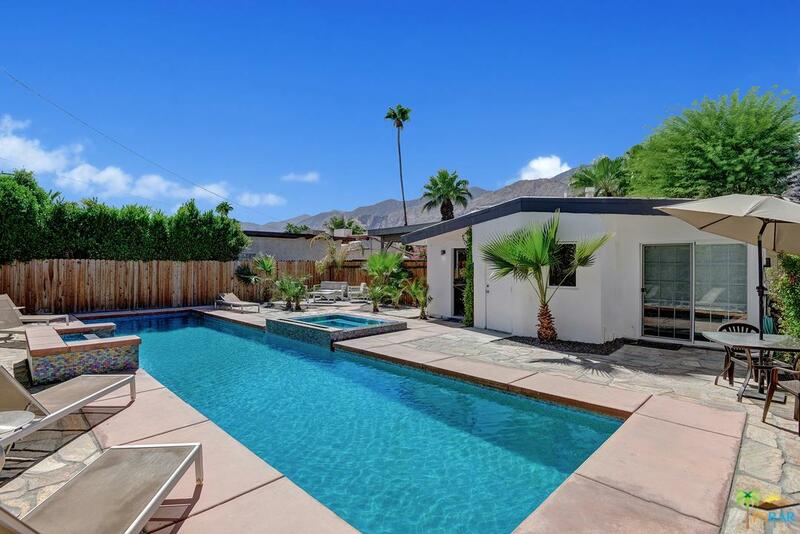 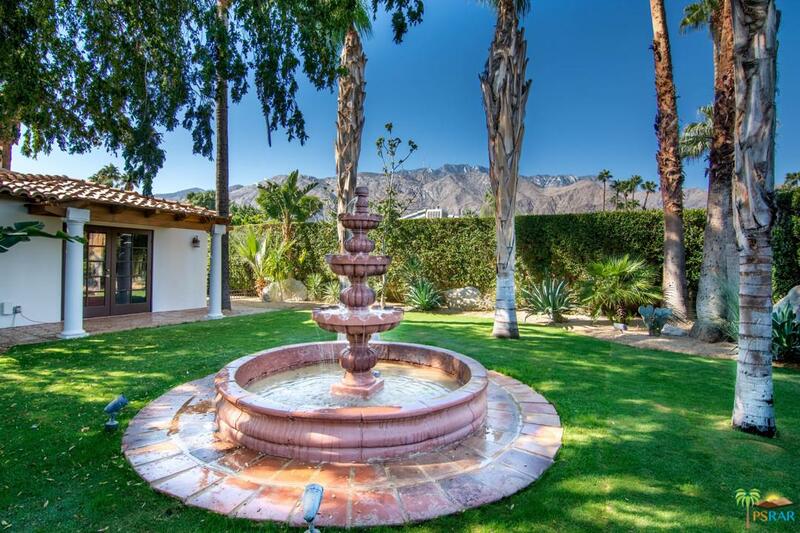 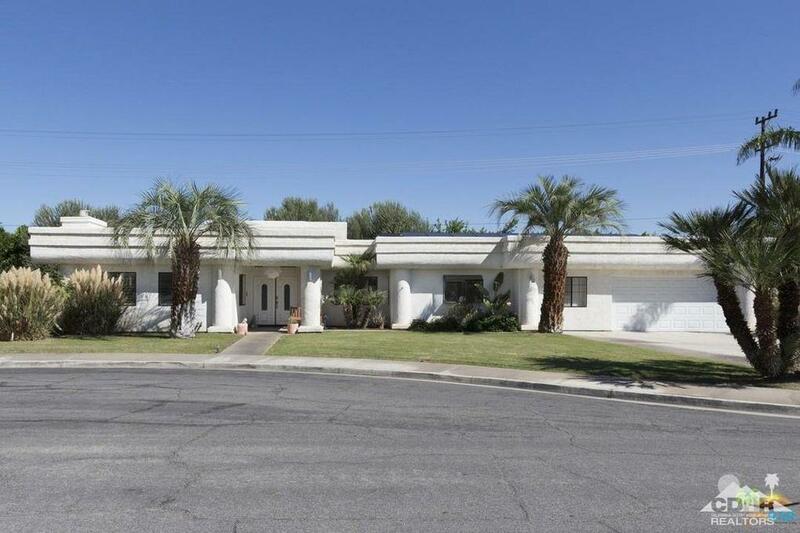 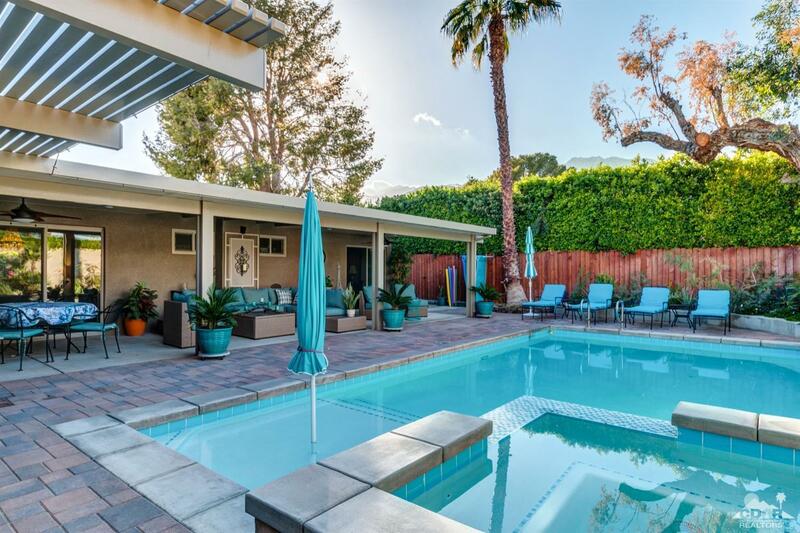 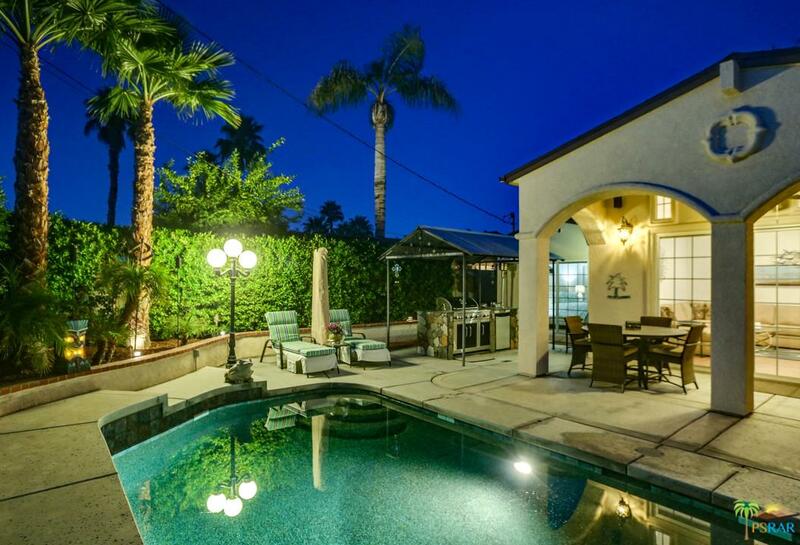 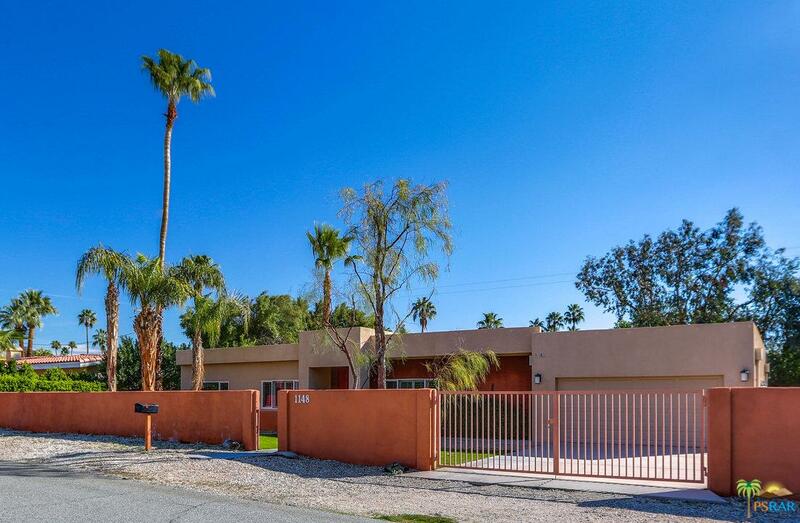 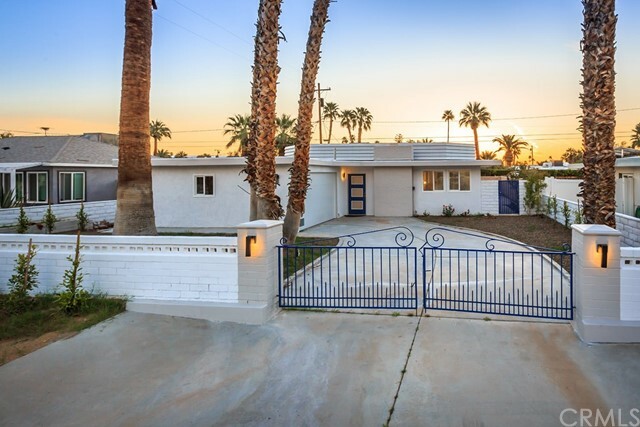 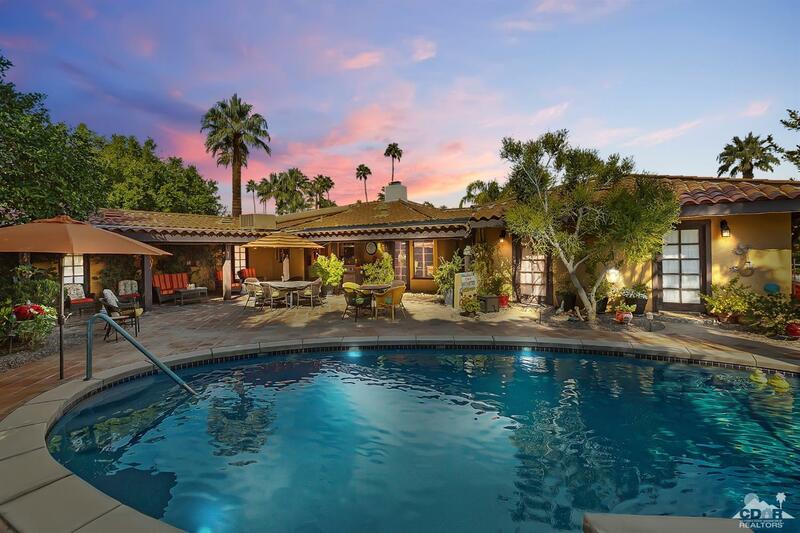 Excellent central PS neighborhood is mere minutes from Palm Canyon's vibrant business district.